The single rocker or Decora plug cover is one of the more versatile available. This is a custom designed fly fishing single rocker plate molded from hardened resin not plastic. 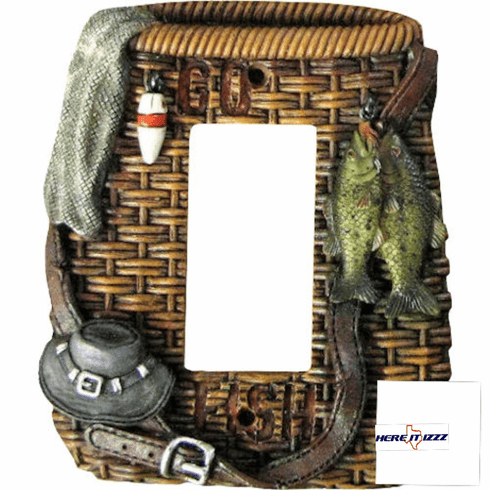 Designed to look like a fly fishing basket it includes great details such as trout fishing hat and lures and colorful flies.